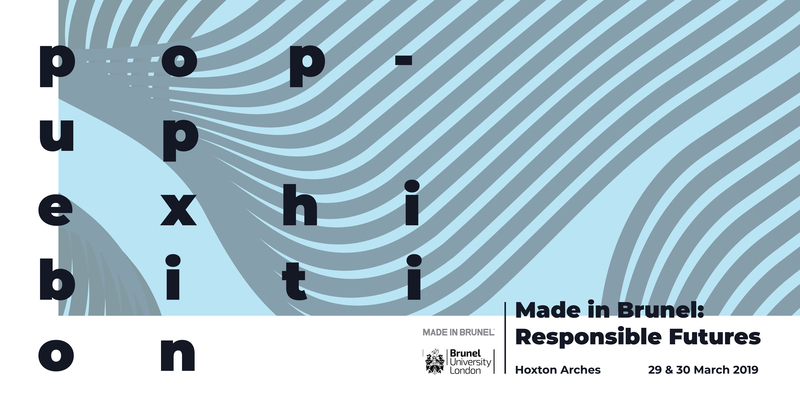 We proudly invite you to Responsible Futures – this year’s pop-up exhibition for final year Design students at Brunel University London. We therefore invite you to our pop-up from 29th-30th March at Hoxton Arches to look at some of our projects, think about how attitudes are shifting the world over and explore our role within the future of design. We would love for you to join us from 6 – 9pm onwards on Friday 29th March for a private view, including some student work and interactive exhibitions. We will be open to the public on the 30th March from 10am – 5pm.